Maintaining your riding lawn mowers is the single most important way to ensure you get the mileage you paid for from this piece of equipment. 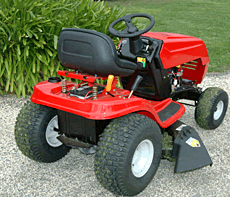 Riding lawn mowers have a number of product features and moving parts that require periodic preventive maintenance. Gas powered engines are especially vulnerable if not started for during the winter months. Tires, blades, drive belts, cables and battery all need attention after repeated usage from the previous season. When it comes time to cut that first blade of grass, make sure you've had your riding lawn mower checked and maintained by the best at ReadyRepair. Call us today to learn more.